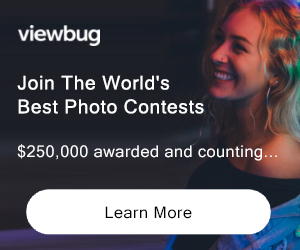 An all-around photography contest to give away some prizes and begin my new blog and website design. We are giving away a Nikon Creative Lighting System book and a few SD Elite 8GB memory cards. Pictures can be anything you want to submit. Highest 3 ratings will be the winners. PRIZE DETAILS: Grand prize: (1) Nikon Creative Lighting System book and (1) SanDisk Ultra 8GB SDHC memory card. 2nd & 3rd place: (1) SanDisk Ultra 8GB SDHC memory card. ELIGIBILITY: United States Not eligible to enter? - Find contest where you are. COPYRIGHT: Users will retain all rights for their photos USAGE RIGHTS: Images will only be used for the contest and to display contest winners on our blog and Facebook page. Images will not be altered or sold in any way.